"These visiting New Yorkers came up to Boston for the premiere of Wild Style in December of 1983. 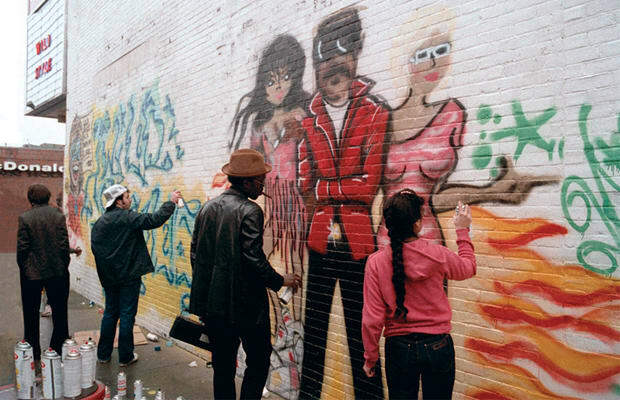 Fab Five Freddy has hip-hop in a headlock, painting while carrying a boom box, and since it was winter in Boston, L.L. Bean boots."